IBM Cognos Business Intelligence has been redesigned and transformed into IBM Cognos Analytics, an enterprise-class solution for managed self-service analytics. 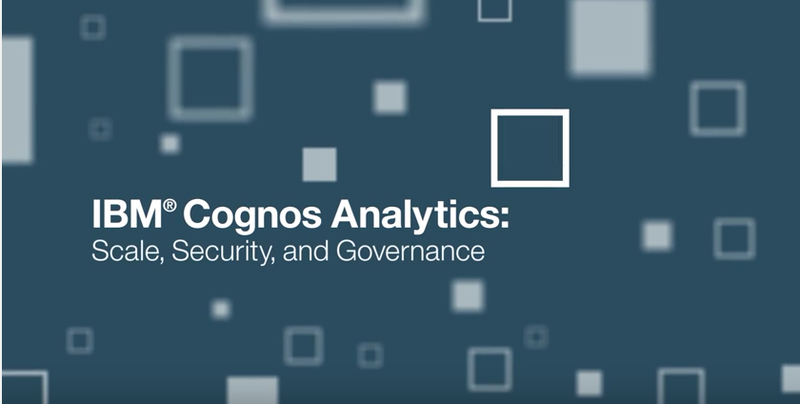 With Cognos Analytics, you can more easily assimilate data into past, present and future views of your organization’s operations and performance. Make the most of your data and give your decision-makers the perspective they need to capitalize on opportunities and minimize risks. By making data search, visualization and dashboarding available to nearly anyone in the organization, Cognos Analytics helps make data-driven decisions easier. Reusable data modules, reliable reports and independently assembled dashboards can be built based on trusted, managed information, meaning that it’s easier to generate and share regular snapshots of the organization’s performance. As a result, non-technical users, technical business intelligence (BI) users and IT personnel alike can profit. Amazon Redshift is a scalable and cost-effective data warehousing technology that enables our BI applications to be leveraged quickly. IBM Cognos Analytics software retrieves data from an Amazon Redshift cluster by sending SQL through the Amazon Redshift JDBC driver. The Cognos software transforms BI report specifications and analytical gestures into SQL queries that are tailored to fully take advantage of the big data performance capabilities in Amazon Redshift. Get consistent snapshots of business performance in enterprise-class reports and independently assembled dashboards for non-technical, technical, and IT users. IBM Cognos provides highly visual and interactive dashboards.